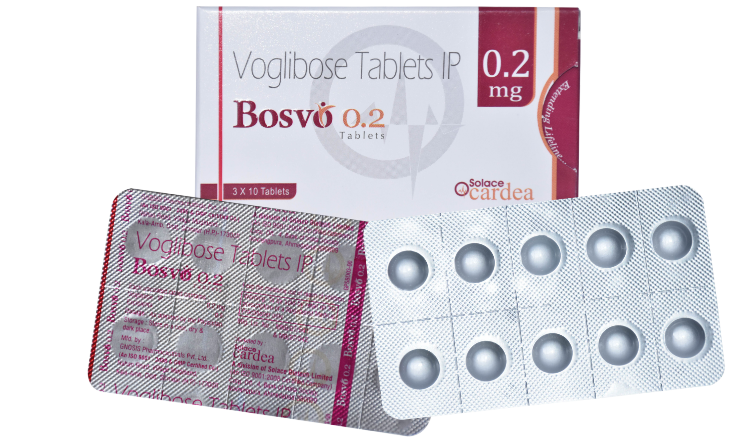 Bosvo 0.2 mg tablets contains Voglibose. It belongs to the category of alpha-glucosidase inhibitor which mainly useful in management of post- prandial blood glucose in diabetic patients. It helps in delaying the absorption of glucose.